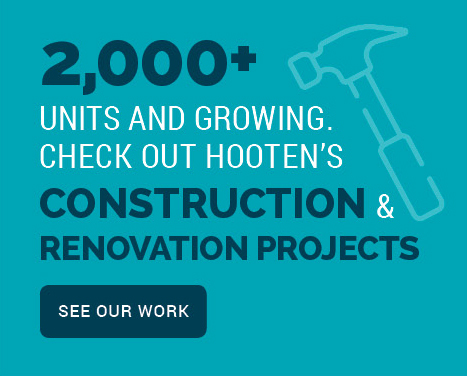 Hooten is a privately held full-service general contracting ﬁrm that provides pre-construction, design-build, new construction and renovation, and construction management services. As an innovative affordable and multi-family housing construction specialist, we help developers, owners and housing commissions plan, manage and execute construction and renovation projects smarter and better. H ooten, formerly CBP Constructors, was established in 2014 with aspirations of becoming the benchmark for affordable housing construction in the Mid‐Atlantic region. In our first four years, we completed more than $100 million of work with more than 2,000 units renovated. 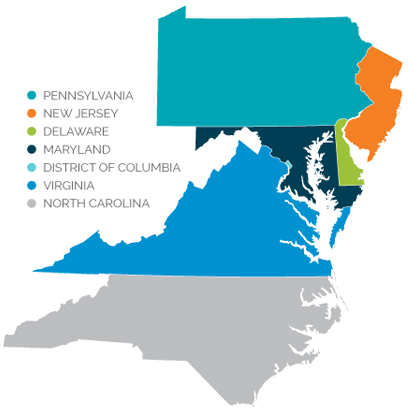 With headquarters in Columbia, Maryland, we are perfectly situated to serve Maryland, Virginia, North Carolina, Pennsylvania, Delaware, New Jersey, and the District of Columbia. The company has a strong bonding capacity. But more than just construction, we are community partners — we care deeply about what we do and who we impact. We’re led by integrity and compassion and work each day to fulfill our vision to strengthen neighborhoods and energize communities. We are excited for what the future holds and how we can make a greater impact. Agility. Integrity. Inspiration. Innovation.